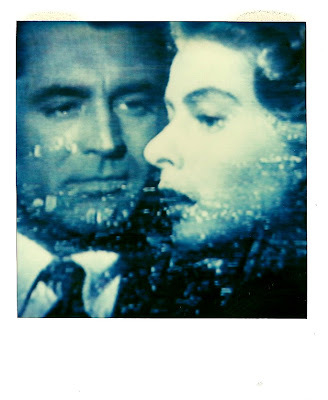 Ingrid Bergman and Cary Grant in A. Hitchcock's Notorious. A glamorous couple, the first collaboration with the great costume designer Edith Head, and also known for one of the longest kissing scene in film history. Ces polas me rappellent deux programmes TV qui ont marqué mon adolescence, le Ciné Club de Claude-Jean Philippe et le Cinéma de Minuit de Patrick Brion. Grâce à ces deux passionnés de cinéma, j'ai parfait ma culture cinématographique et découvert des merveilles. Edith Head was a great professional. Her work is amazing! I luv Edith Head I remember the clothes she designed for Audrey Hepburn in Roman Holiday!!!! Notorious is one of my Mother's fav movies. 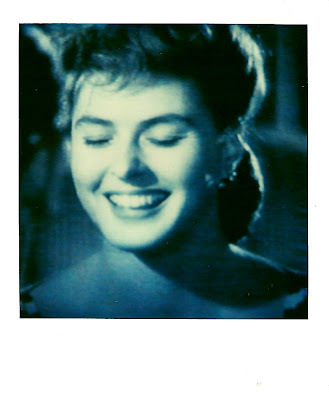 Ingrid Bergman is sooo classic and beautiful solely a silver screen siren. @ Gerri Ward : it's one of the great movie I love and Edith Head did amazing movies wardrobes! @ Fashion Moment : yes, you're right! @ Kira Fashion : love them too, a kiss! Ah la la, moi aussi, je regardais, et moi aussi je leur dois bien des découvertes !